Anywhere you work, Lucidchart can help you clarify ideas, information, and processes. Try our powerful integrations with Confluence, Jira Software, Bitbucket, and Hipchat. Unlike other companies who charge per instance, Lucidchart offers these apps for free with Team and Enterprise subscriptions. Lucidchart features a web-based integration with both Confluence Cloud and Server that lets users make, edit, and embed diagrams within the wiki environment. Looking for a solution behind the firewall? There's also an onpremises edition available. The flexible licensing plan lets you add more users at any time and distinguish between paid team members and view-only users. 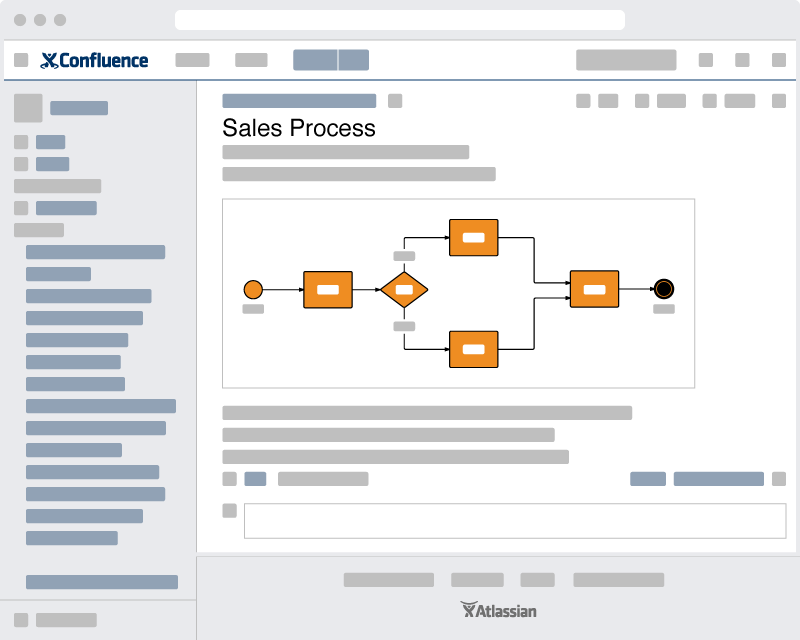 Plus, Lucidchart's free integrations don't stop with Confluence. It's also compatible with G Suite, Jive, MS Office, and Jira Software. You'll never be charged an additional fee to integrate with Jira Software for Cloud and Server. Use it in combination with our Confluence instance to access all of your diagrams in one convenient location. 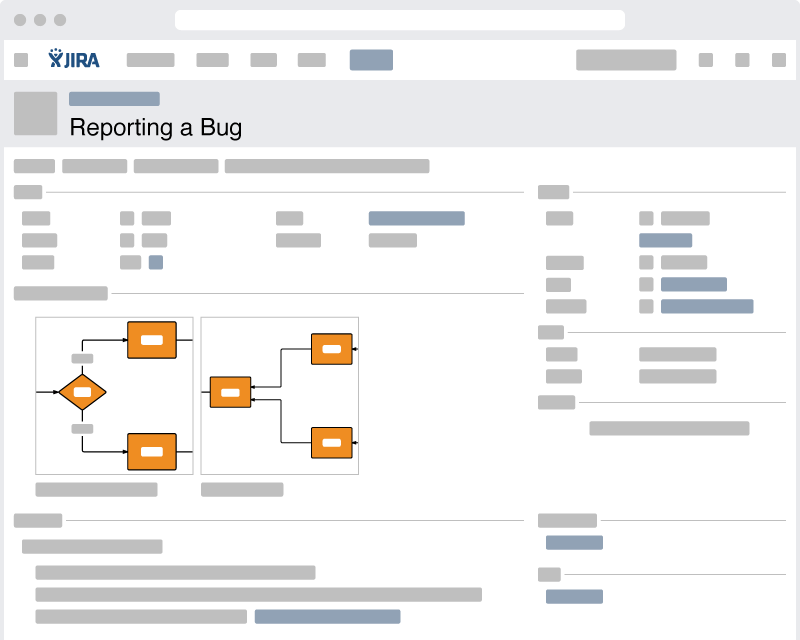 This seamless Jira Software integration lets you attach diagrams directly to issues for easy communication across your team. You can even use Lucidchart's presentation mode to attach slide decks to issues. Like our Confluence integration, Lucidchart also has superior collaboration options, including revision history, in-editor chat, and commenting with @name mentioning. 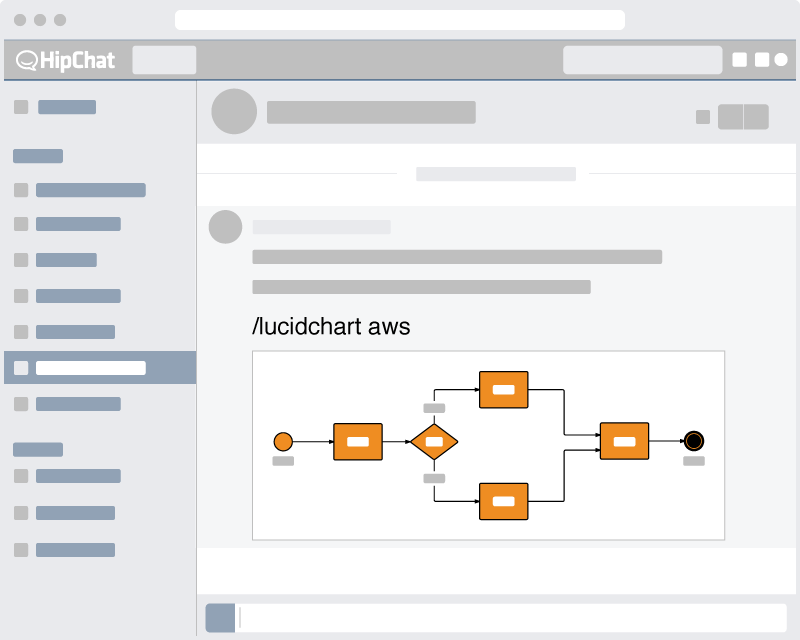 Trusted by over 4 million users, Lucidchart is the default solution for diagramming in Atlassian, no matter what your business needs. 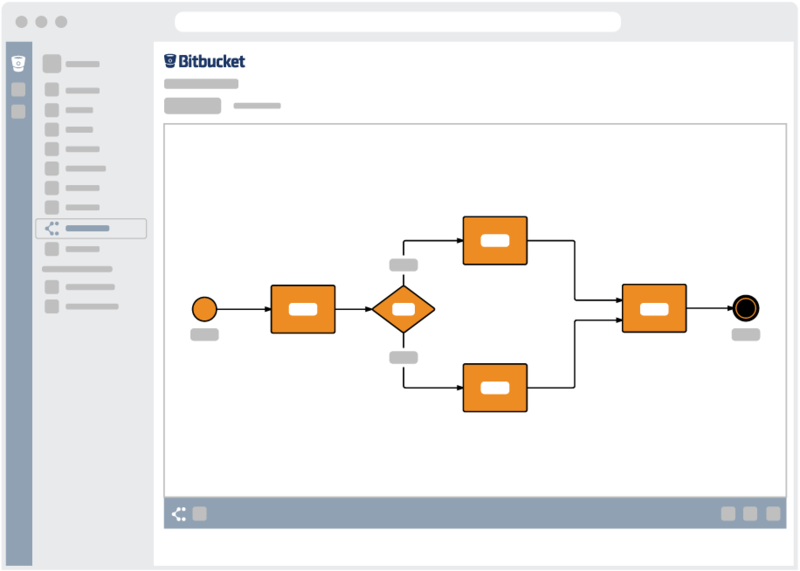 With our Bitbucket integration, you can instantly turn your code into a UML class diagram for a convenient overview of your software design. Speed up training and implementation—Lucidchart makes the process easy. Users can share their diagrams with public Hipchat rooms or individual Hipchat users from Lucidchart's Share dialog. Posting processes, workflows, and ideas back to Hipchat is a great way to enhance discussions and share knowledge. Only Lucidchart syncs across Confluence, Jira Software, and Hipchat, opening new opportunities for capturing and sharing knowledge via Atlassian. Easily document ideas visually in Hipchat then seamlessly embed in Confluence for future reference or attach to Jira Software issues to take action.